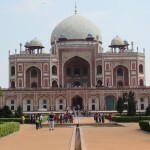 Finding Peace in Delhi « Kathy Murphy, Ph.D. 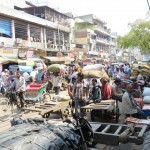 When we told our friends we were coming to New Delhi, we heard a lot of worries and concerns. One friend even recommended I read the book, Holy Cow, by Sarah MacDonald. In her book, she talks about how difficult it was for her to live in New Delhi as the wife of an Australian reporter. She describes chaos, poverty, filth, noise, smells, and way too many people. So I expected to be completely overwhelmed and disturbed being in “the most polluted city on earth”. In our last blog post, I wrote about how we began our spiritual pilgrimage with a two week trip to the paradise of Bali, in part to prepare us for the craziness of India. Maybe this strategy paid off. Because while Delhi is overcrowded and full of poverty, filth, and noise, what we found here was an experience that went way beyond the dirty, grimy surface – we found a land that was also full of age-old spirituality and an undercurrent of deep peace. We were pleasantly surprised landing at the New Delhi Indira Gandhi International Airport. I mean really – just the name itself denotes peace. The process was smooth, orderly, and not very crowded. We were met by the driver from our hotel and whisked away without any fuss. However, we did encounter our first experience of Delhi traffic en route to the hotel. 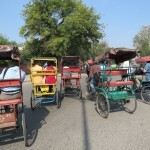 In a road designated for two lanes, there were five rows of cars, trucks, vans, motorized rickshaws, bicycles and pedestrians. And this was at 10pm! But we were so tired, it didn’t matter. 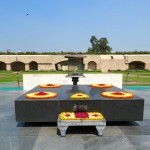 The next day the adventure began with a trip to the Gandhi memorial site, Raj Ghat. Just like the teachings of Mahatma Gandhi, the Raj Ghat is a place of extreme calm and peace in the midst of a busy New Delhi. One must remove their shoes before entering the lush green grounds that mark the actual place where the great peacemaker was cremated. It was a profoundly moving experience as many people walked around the memorial to pay their respects. One thing in particular that struck me deeply were the last words he spoke before dying that were inscribed on the memorial. They were “Oh God.” We should all die with these being the last words on our lips. On our third day in India, we boarded a bus and took off for Old Delhi, a city believed to be 5,000 years old. However, we didn’t enter this old city by bus. We arrived via bicycle rickshaw which may be the only way to navigate these small streets teaming with vendors, locals, live stock, and tourists. Our first stop was Khari Baoli, the biggest spice market in Asia. Now this is not your normal, everyday trip to the market! In the bowels of New Delhi, where the poorest of the poor reside, lies the dargah (or tomb) of one of the world’s most famous Sufi saints, Nizamuddin Auliya. This dargah is among the most popular attractions of Delhi. It is visited by thousands of Muslims, Hindus, Christians and people from other religions daily. In the shadows of Nizamuddin’s tomb, lie the dargahs of Hazrat Inayat Kahn and his son, Pir Vilayat Kahn – great Sufi teachers that have deeply influenced and shaped our spiritual guide, Atum. What a gift to visit these tombs with him and listen to his memories as he shared the wisdom of these sages. He was especially close to Pir Vilayat who offered a universal approach to spiritual development and was instrumental in bringing together leaders from different religions to explore their underlying unity and mutual interests. 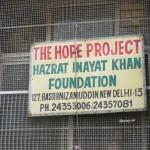 Pir Vilayat was a lover of humanity and especially of the poor and forgotten in the Nizamuddin Basti (or neighborhood). In 1975, he founded The Hope Project which to this day strives to provide the poor and vulnerable with the opportunities and resources needed to help themselves. 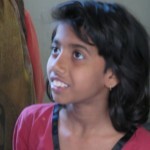 As Pir Vilayat believed, “we are to help them realize their hidden potentials”. Having several of the board members as part of our pilgrimage, we were honored to have a tour of The Hope Project. (See video.) Even though the surrounding impoverished neighborhood was heartbreaking – hope, opportunity, and promise was alive in this vibrant, loving facility. Because of Pir Vilayat and The Hope Project, many young children and other community members have access to education, health centers, thrift and credit programs, baking and catering courses, vocational courses and income generation projects which benefit the entire community. Considering a donation, click here. Kathy, Emmanuel, and Quan Yin of the Hope Project video have beautifully told the story of our time here in India so far. So what to add? As many of you know, driving has been one of my contributions to our journey in the past. I am grateful that others are doing this for us in India. I have been watching the “dance” of the traffic with wonder. As Emmanuel said “It may appear to be chaotic but there is an intrinsic order to it all that everyone follows”. The horns are not angry honking like in the US, but a talking back and forth to say “I am coming. I need to pass. Please move over.” People slow and let others in. They wait and they take turns. It is a dance that allows this city of 16 – 20 million people to move about. Think of it! This city is 4 -5 times bigger than the entire state of SC where we used to live. But to make this dance work, everyone must be mindful and aware of all that is happening that very moment. Every day we leave our 5 star hotel and get into our air-conditioned bus and drive to our next destination. I look out the window at large areas of small “homes” made out of plastic and sticks. They have so little and I have so much yet they appear peaceful. India is always teaching me…if only I pay attention. Today we board a train for an overnight trip to Bodh Gaya. You’ll have to stay tuned for that report as we hear the train system in India is a wonder in itself. While Delhi is mostly Hindu and Muslim, Bodh Gaya is the largest area for Buddhists in India and the site of the bodhi tree where Buddha found enlightenment. Should be another wonderful adventure! And remember, we love hearing back from you. This entry was posted on Saturday, March 21st, 2015 and is filed under India, Journey, New Delhi, Spiritual Journey, Travel blog, Uncategorized. Thank you for taking us on the adventure. Happy to hear your travels.meditations have been incredible. No offers yet,but coming soon. Looking forward to hearing more from you. Love. 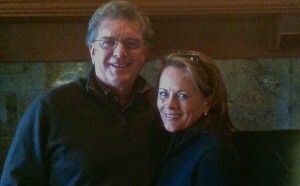 Kathy, Mike – as usual you bring an insight that many travelers do not bring. Your observations and experiences enrich us. Dear friends — Please light a candle or some incense for me at Bodh Gaya. I have been a Buddhist some 35 years now, and my fondest dream would be to make a pilgrimage to the place where the Buddha achieved his awakening. I rejoice that you can be there! Thanks. Tell us a more about your food experience. Do they have decent wine? Goat? Lamb? Sorry, I did not continue with you from Bali, it sounds totally fabulous! So glad you entered India in a peaceful state of mind. Thank you for sharing all the sights, sounds and wonder. 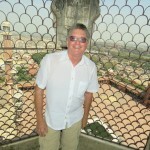 You’ve tripped my travel bug…remembering the spice market in Istanbul, the traffic and bikes in Vietnam and the overnight train ride in China. India is officially on my bucket list. Michael, I read with interest your take on the traffic and use of horns. I was watching a documentary/travelog last night and these 2 young guys were in a tuk tuk and were yelling back at the cars, “honk”!! They were not at all in the spirit of Namaste. Since I have been there, I realize it’s kind of controlled chaos. I’m also reading a book which takes place just as the British are leaving the country and saw Marigold Hotel II last week. I’m there with you as closely as I can be! Oh, probably have some of the heat and humidity here in Kona! Thanks you it is wonderful to hear about your journey. So glad to read about your travels, the details that the two of you put in your blog I can see in my head. Lovely! I am loving hearing about your adventures~!